JOIN US FOR THE 31ST ANNUAL CHRISTMAS PARADE!! Our theme this year is “ROCKIN AROUND THE CHRISTMAS TREE”. Parade applications are available now and must be submitted by December 3rd in order to take part in the fun! This year’s parade will take place on Saturday, December 8, 2018 at 10:00 a.m. The Parade route again follows Los Osos Valley Rd. from Fairchild Way to the park at Palisades Ave. Awards will be given to parade entrants in the categories of Best of Theme, Best of Music, Best on Foot, and Best on Wheels, Best of Animals and Judges Favorite. This years Grand Marshall is Jonas Richardson creator of the Red Barn Concert Music Series. The Bay Osos Kiwanis will have a pre-parade Pancake Breakfast at Bay Auto & Tire at the corner of Sunset Ave & Los Osos Valley Road. Following the parade the Maxine Lewis Memorial Homeless Shelter Fundraiser will be held at the South Bay Community Center until 9pm. Christmas Parade entries are open to all businesses, organizations and the community. All forms along with the $25 entry fee must be returned to the Chamber Office – extended to December 5th. There will be no rain date. 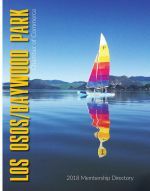 For more information, please call the Los Osos/Baywood Park Chamber of Commerce.